Another windy day to end what's been the most windy of years. 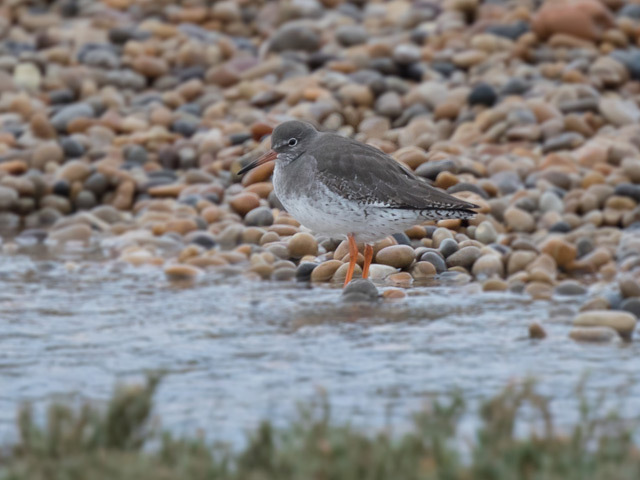 Chesil Cove got plenty of looks and although up to 4 Little Gulls were ever present the Grey Phalarope that was spotted bobbing around off Chesil further up towards Ferrybridge didn't make it into the Cove itself. 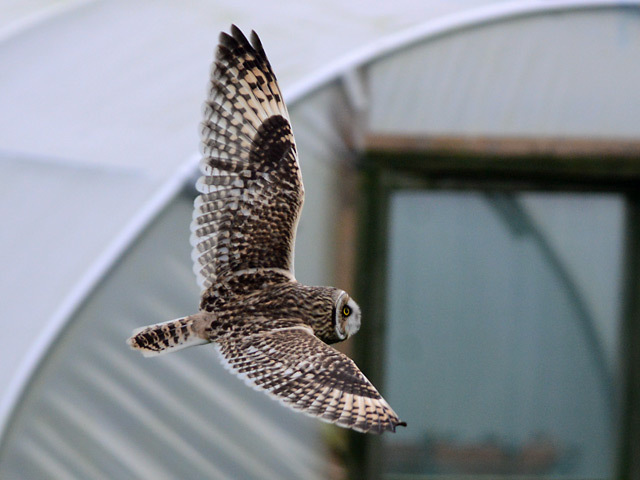 Routine recent fare still making the log included several Great Northern Divers in Portland Harbour, 2 Red-throated Divers through off the Bill, at least 2 Short-eared Owls at the Bill and the Firecrest at the Obs. Finally, as something like the 15th year of the website/blog draws to a close we'd like to record a huge thanks to everyone who contributes records, photos, videos, sound recordings and whatever else we're able to use to make it so much more interesting than just a vehicle for our daily blurb and musings on Portland natural history happenings. Stormy as opposed to just windy today, with the best part of the afternoon rained off as well. A Grey Phalarope that shot through Ferrybridge was the pick of the storm-driven seabirds, with the conventional seawatching spots at the Bill and Chesil Cove coming up with little more than 3 and 4 Great Skuas respectively; 5 Kittiwakes sought refuge in Portland Harbour, whilst the only other reports were of singles of Pale-bellied Brent Goose, Bar-tailed Godwit and Razorbill at Ferrybridge, Black Redstart at Southwell and Chiffchaff and Firecrest at the Obs. A nice sunny day saw a fair bit of coverage of the island. 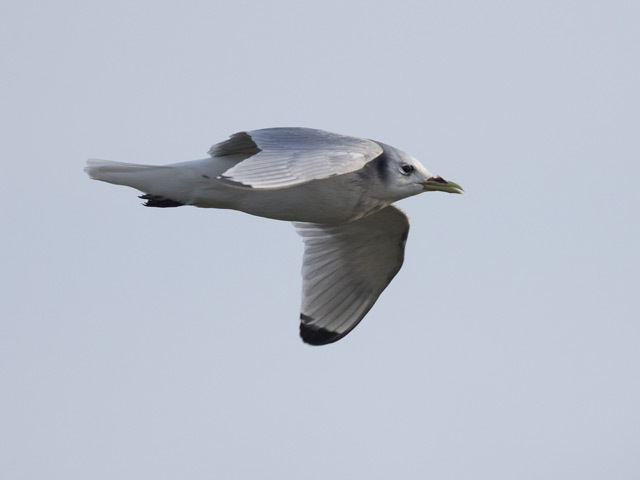 A Little Gull in Portland Harbour was the first for some time, whilst the diver tally there increased to 9 Great Northerns and a Black-throated. 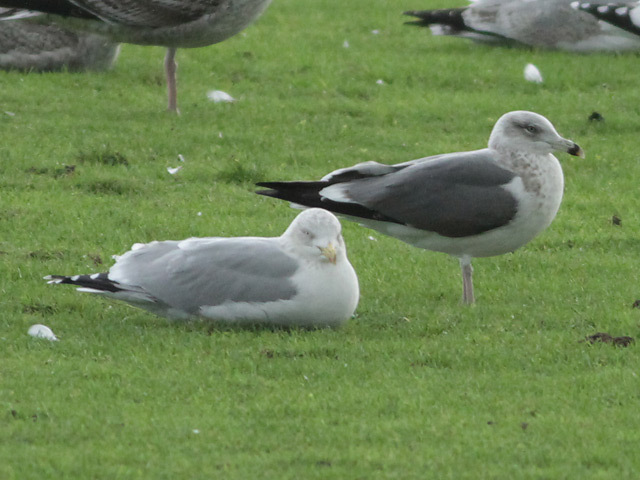 Seven Red-throated Divers passed through off the Bill, where 5 Purple Sandpipers, at least 1 Short-eared Owl and a Firecrest were still about; singles of Chiffchaff and Goldcrest were also still at Southwell. In the face of more blasting wind it was too much to hope that immigrant moth interest would be maintained and rewards from the night ran to no more than singles of Rush Veneer, Rusty-dot Pearl and Silver Y at the Obs and another Silver Y at Weston. With the strength of the wind having put a constant spoiler on mothing opportunities in recent nights there was considerable anticipation for what was forecast to be a quieter night; in the event the window of opportunity was fairly brief - but just enough for the Obs moth-traps to strike with some decent quality of presumably far-flung African origin: the chief prize was the island's fifth - and Britain's ca24th - Levant Blackneck, with back-up in the form of 2 Eyed Veneer Euchromius ocellea (taking the island total of the latter to 33); commoner immigrants included 4 Rush Veneer, 3 Rusty-dot Pearl, 2 Small Mottled Willows and a Silver Y at the Obs and singles of Diamond-back Moth and Rusty-dot Pearl at the Grove. Additional to the moths, a Red Admiral butterfly was on the wing at Blacknor. Bird-wise, the best of the bunch was a reported Black Guillemot off Portland Castle. Two Razorbills, a Great Northern Diver and a Kittiwake were at Ferrybridge, winterers included a Black Redstart at Portland Castle, 2 Goldcrests at Southwell and a Firecrest at the Obs, whilst 6 Common Scoter, 3 Brent Geese and a Red-throated Diver passed through off the Bill. 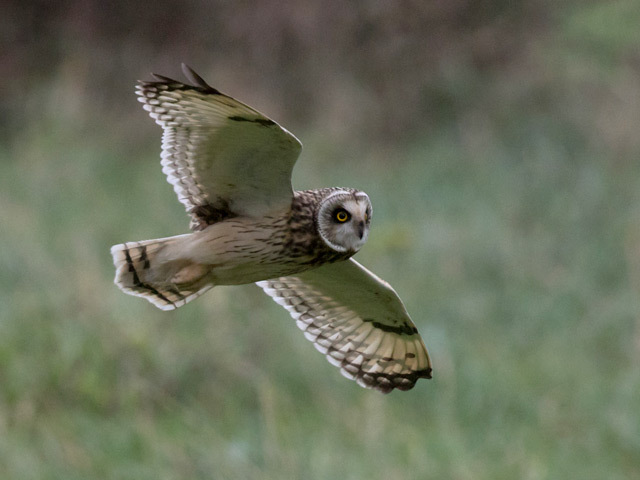 With the weather quietening down as the day went on there was lots of Short-eared Owl activity through the afternoon - with at least 4 scattered far and wide around the Bill area - but the day's only other reports were of 4 Purple Sandpipers, a Chiffchaff and a Firecrest at the Bill and another 2 Chiffchaffs at Southwell. A White-speck was amongst the very few moths caught overnight at the Obs. 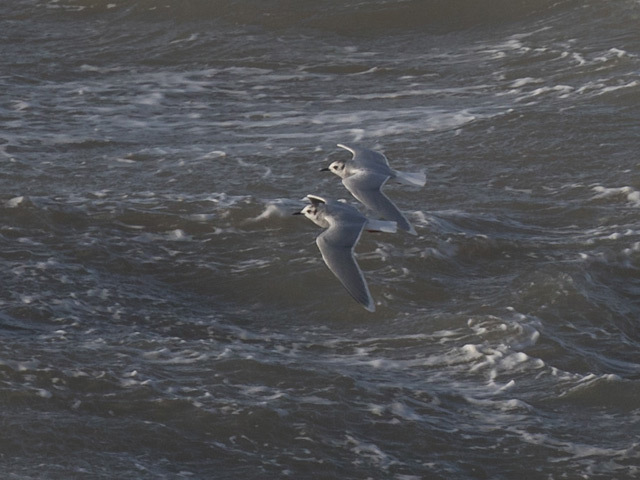 With the wind up around gale force there was a decent flurry of sightings from the sea, with 4 Red-throated Divers, 2 Great Skuas and an unseasonable Sooty Shearwater through off the Bill, where a good-sized fishing flock of commoner fare - including 200 Gannets - also gathered; elsewhere, a lone Kittiwake passed through at Ferrybridge. 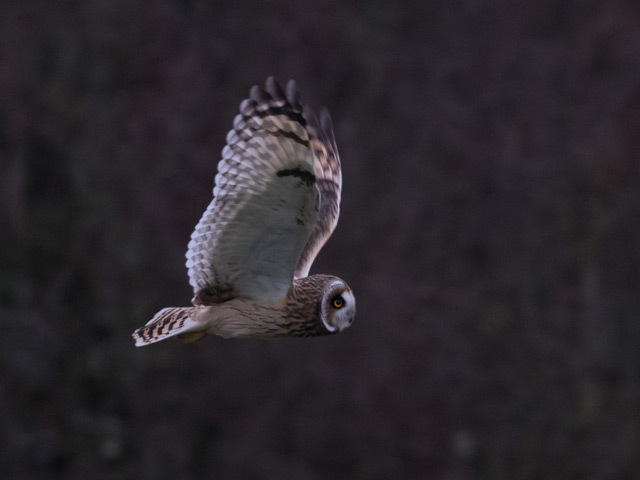 Birding on the land was always hindered by the wind but both wintering Firecrests surfaced at the Obs and singles of Water Rail, Short-eared Owl and Chiffchaff also put in appearances at the Bill; 2 Short-eared Owls showed again towards dusk at Southwell. An often very wet and windy Christmas Day with very little coverage. 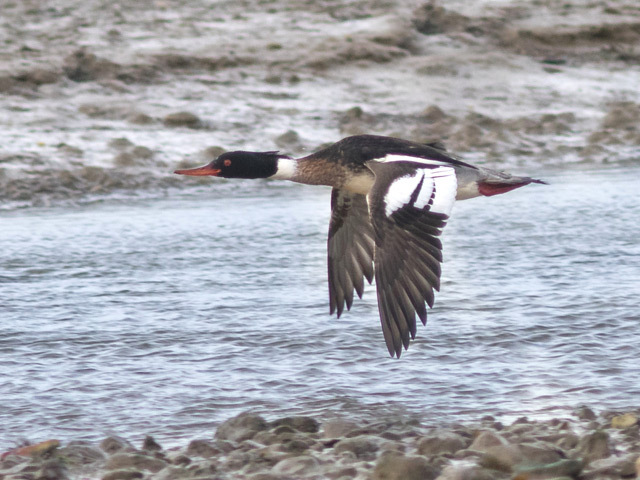 The only worthwhile bird sightings came from Ferrybridge where 4 Pale-bellied Brent Geese, a Great Northern Diver and a Guillemot made the list. 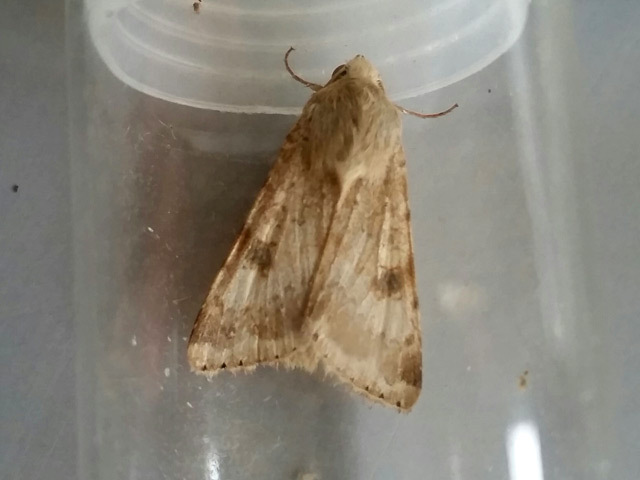 Despite continuing unsuitable trapping conditions it remained mild and a few immigrant moth were still on the wing, with singles of Dark Sword Grass and Pearly Underwing caught overnight at the Grove. 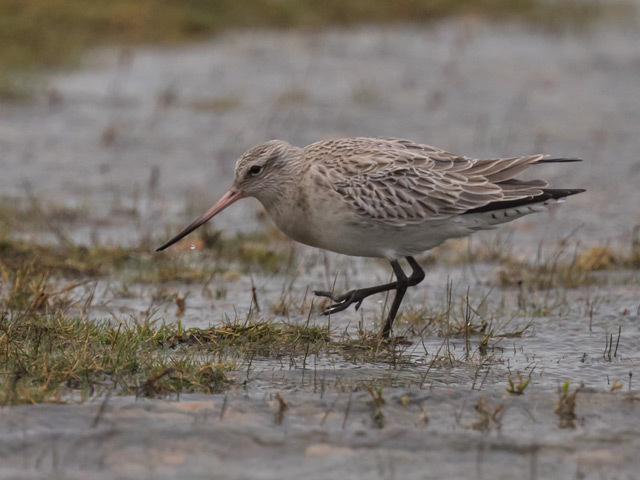 More of the same again today, with 2 Short-eared Owls and a Merlin at the Bill, a Great Northern Diver in Portland Harbour and 120 Dunlin, 4 Pale-bellied Brent Geese and a Sandwich Tern at Ferrybridge. 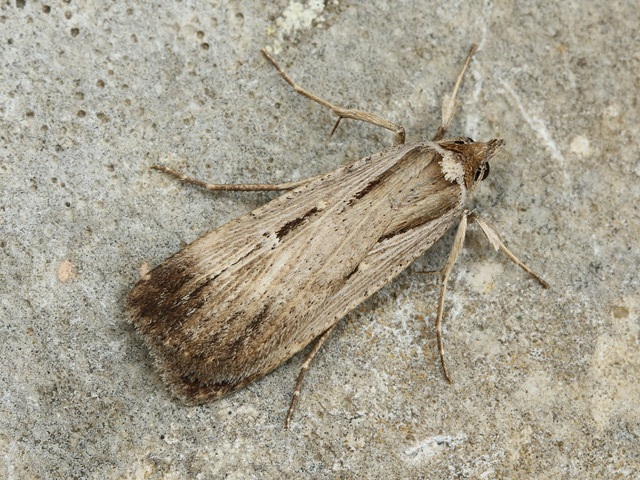 A single Dark Sword Grass at the Grove maintained the recent run of immigrant moths. 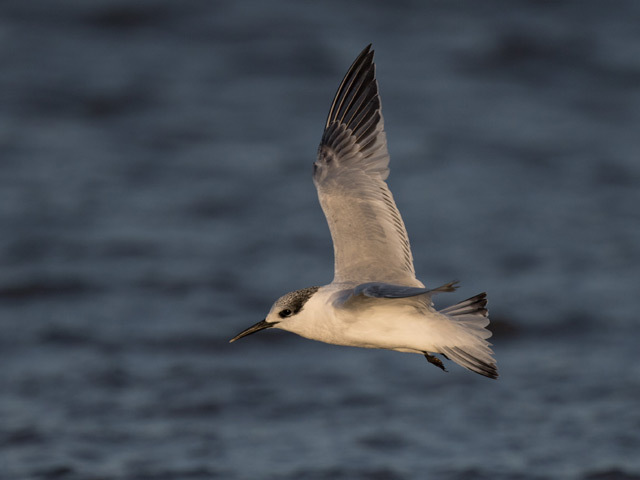 With the wind a relentless feature of this winter it's perhaps a surprise that there haven't been more storm-driven seabirds in evidence. 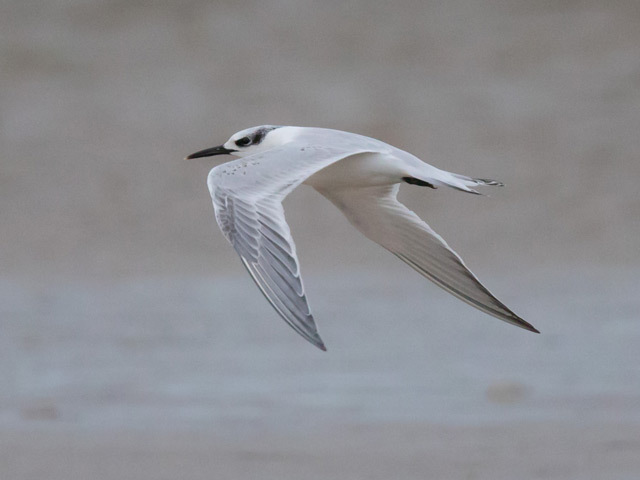 Perseverance on that front did eventually pay off at Chesil Cove early today with the discovery of a Little Auk close to shore, whilst nearby a Sandwich Tern that showed up at Ferrybridge was a new arrival as opposed to a returnee from earlier in the month. Two Great Northern Divers were also at Ferrybridge, whilst the gradual eastbound exodus of Brent Geese that has been evident there for some time continued (...is their food less plentiful on the Fleet this winter? 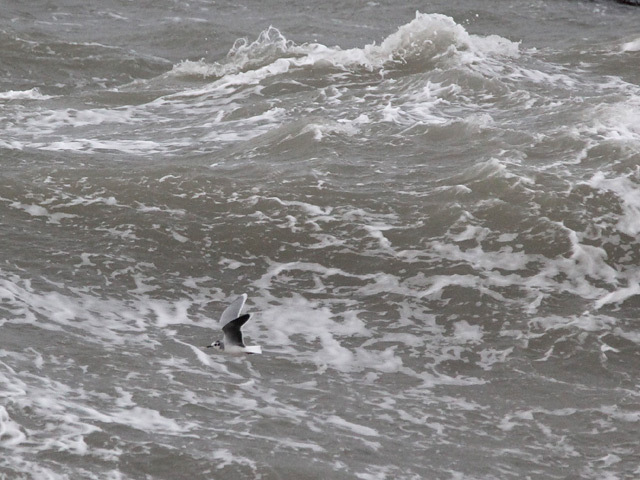 ); the only sea report from the Bill concerned a lone passing Red-throated Diver. On the land, the Bill/Southwell area chipped in with a now customary tally of at least 4 Purple Sandpipers, 3 Chiffchaffs, 2 Short-eared Owls and a Firecrest. 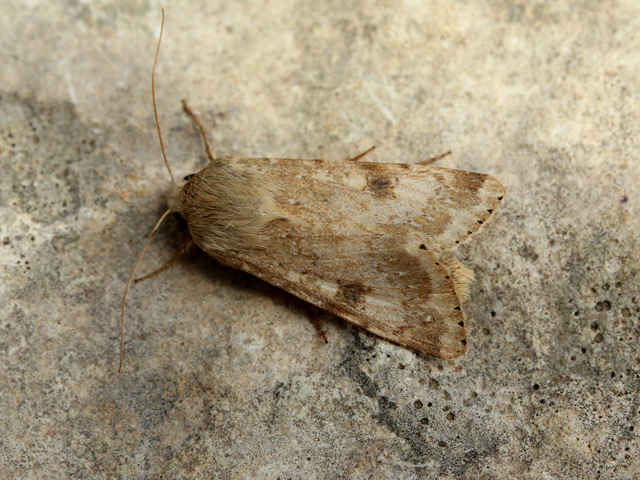 On the moth front a Scarce Bordered Straw at the Obs was the first record during the current immigration episode, as well as constituting the latest ever Portland record of the species. And finally, for no particular reason other than completeness we have now uploaded daily reports for the period we were away earlier this month; we've didn't have enough weather or other details to be able to post proper narratives for each day, but there are a few nice photos that had been sent through in our absence. It didn't get any better today, particularly for one of the wintering Chiffchaffs at the Bill that was picked up dead as a road casualty; the only live sightings there worth a mention were of one of the Firecrests still at the Obs and a single Common Scoter through on the sea. 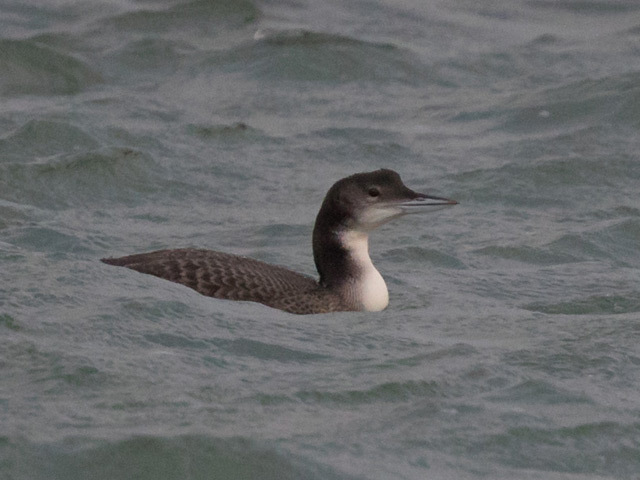 Elsewhere, at least 1 Great Northern Diver remained in Portland Harbour. 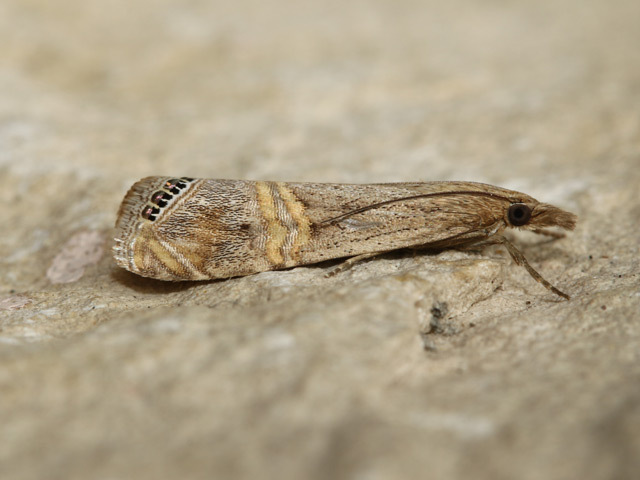 A single Rusty-dot Pearl at the Grove was the only immigrant moth caught overnight. 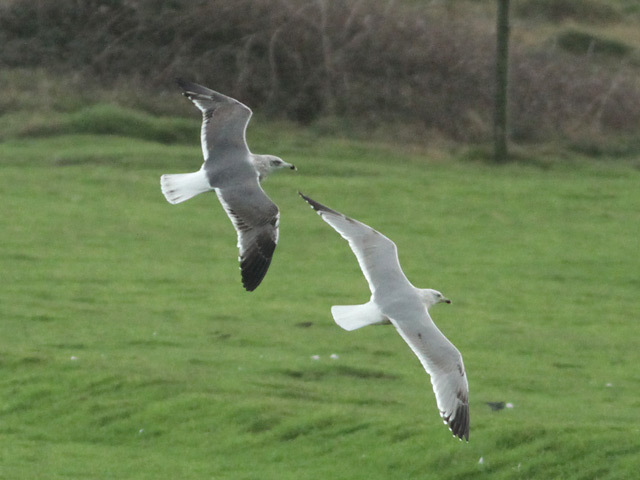 ...two of the Cove winterers photographed a few days ago. A shocker of a day with wind and rain throughout. 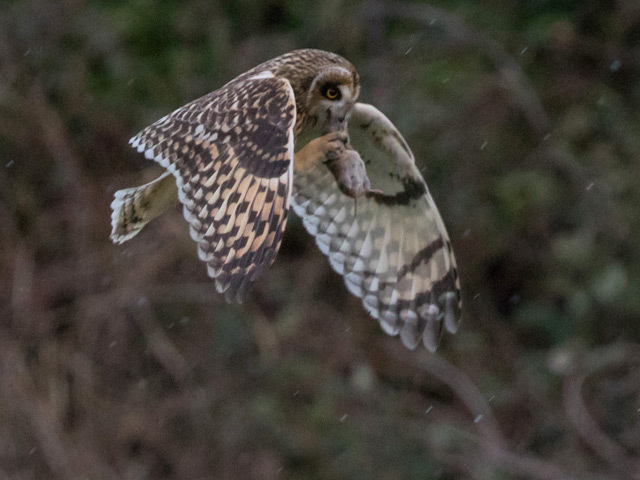 Two Short-eared Owls and singles of Grey Heron, Chiffchaff and Goldcrest were still at Southwell, a Yellowhammer pitched up at Blacknor and 2 Kingfishers and a Great Northern Diver were at Portland Castle/Harbour. 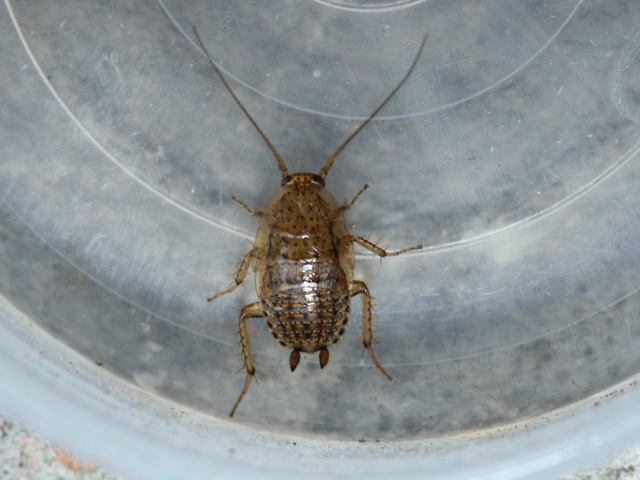 ...this female Lesser Cockroach was scuttling about on the sheet when we packed up moth-trapping at Pennsylvania Castle at dawn yesterday. It struck us as late in the year for a cockroach to be about and the conventional literature doesn't mention adults recorded after October - have later dates become the norm or was this exceptional? 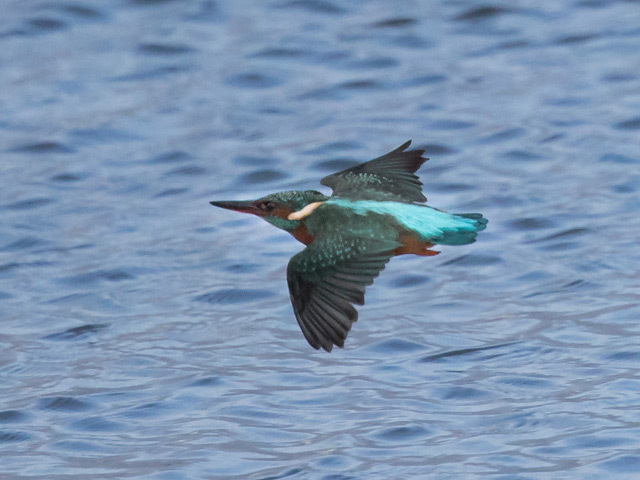 ...this bird struck us as being a fair bit darker than usual, to the extent that we wondered if it might be of more distant, Atlantic, origin (or might it even be some sort of wacky Herring x Lesser Black-back hybrid?). 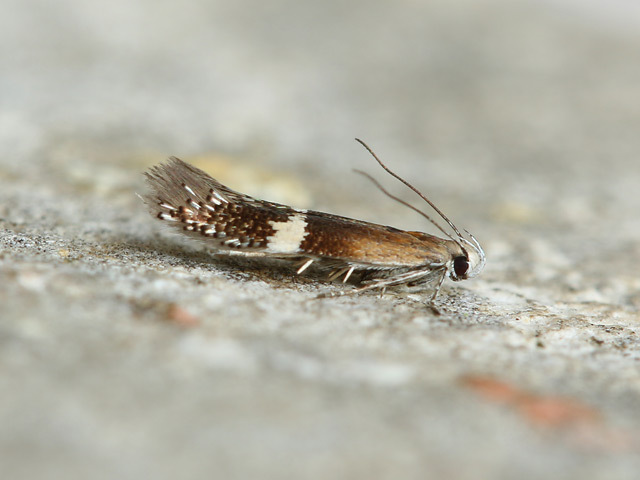 Catching one new moth for the island during December was unexpected but two new species on consecutive nights was indeed remarkable, with an African Sober Syncopacma polychromella at the Grove following hot on the heels of yesterday's Eastern Bordered Straw; immigrant rewards were otherwise pretty scant, with just 2 each of Rush Veneer and Small Mottled Willow, and a single Rusty-dot Pearl to show from a total of 20 traps operated overnight at sites around the centre and south of the island. Although new rarity interest was lacking, there was a fair bit about in the bird line, with 70 Goldfinches south at the Bill, 3 Purple Sandpipers and singles of Black Redstart, Chiffchaff, Goldcrest and Firecrest on the ground there and another Red-throated Diver through on the sea, 3 Chiffchaffs, a Grey Heron and a Short-eared Owl at Southwell, Black Redstarts at Blacknor, Balaclava Bay (3) and Portland Castle, the Siberian Chiffchaff still at Portland Castle and 5 Great Northern Divers in Portland Harbour. 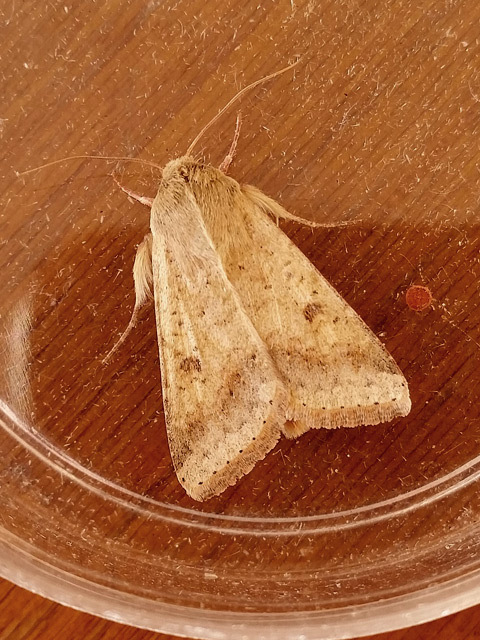 A moth stole the show today, with Portland's first Eastern Bordered Straw the pick of the overnight catch at the Obs; the immigrant tally otherwise consisted of just singles of Rush Veneer and Small Mottled Willow at the Obs and Dark Sword Grass at the Grove. 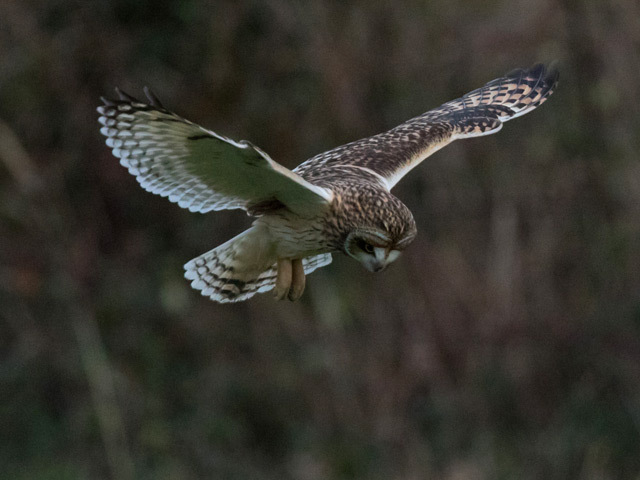 Bird-wise, despite there being plenty of passing Redwings and Song Thrushes audible overnight, by day late finch passage dried up; 4 Short-eared Owls were again about at the Bill/Southwell, with further interest coming in the form of 5 Purple Sandpipers and a Merlin at the Bill, single Black Redstarts at the Bill, Blacknor and Portland Marina, a Great Northern Diver in Portland Harbour and 6 Red-throated Divers through off the Bill. 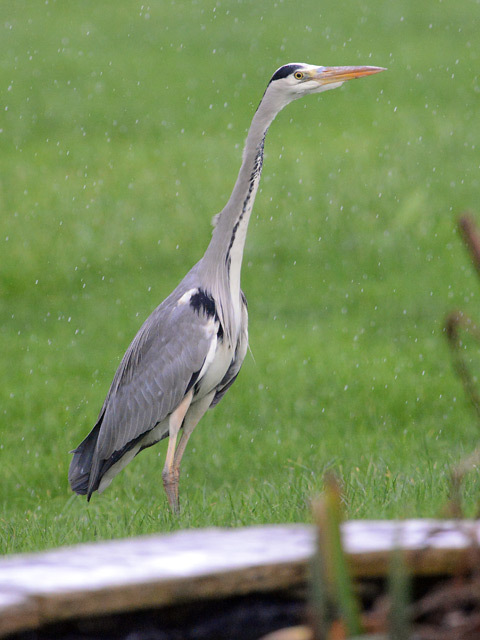 With no end in sight to the mild weather the birding situation remained much as in recent days. A small southbound passage of Goldfinches was again underway at the Bill, where 106 were logged through the morning, whilst 3 Purple Sandpipers and at least singles of Chiffchaff, Goldcrest and Firecrest were still about on the land and 10 Red-throated Divers passed through on the sea. 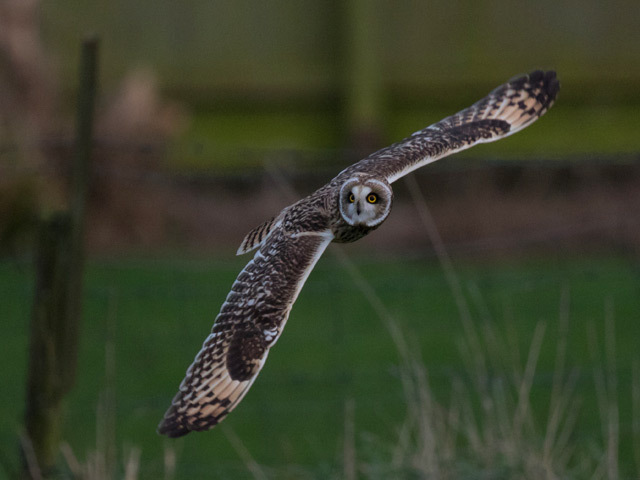 The Short-eared Owl tally at Southwell increased to 3, with 4 Chiffchaffs and 2 Goldcrests scattered around various private gardens there. Elsewhere, a Chiffchaff was at Blacknor, 2 Black Redstarts at Chesil Cove and singles of Great Northern Diver and Black-necked Grebe in Portland Harbour. Portland continued to be the poor relation on the immigrant moth front, with singles of Small Mottled Willow at the Obs and Southwell the only arrivals worth a mention. 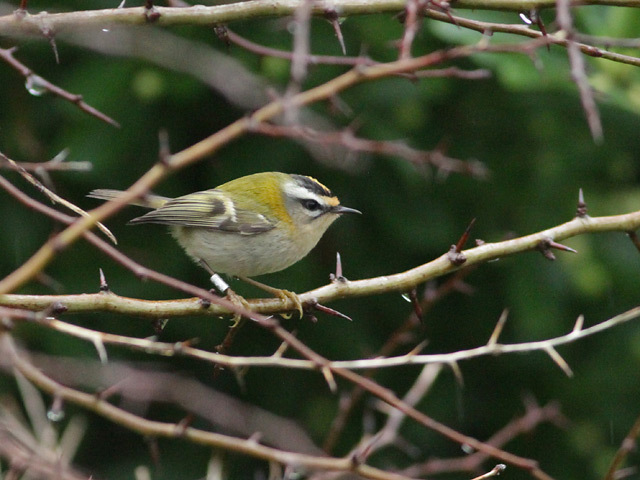 On another mild day 100 more Goldfinches headed south over the Bill and winterers putting in appearances included 2 each of Chiffchaff, Goldcrest and Firecrest at the Obs, 2 Short-eared Owls at Southwell, single Black Redstarts at Blacknor and Portland Castle, and 3 Great Northern Divers in Portland Harbour. Seawatching at the Bill came up with 4 Red-throated Divers, 2 Common Scoter and a Black-throated Diver. 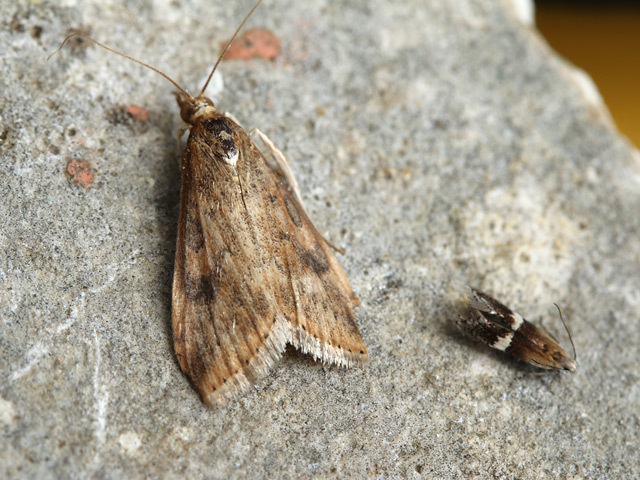 In comparison with nearby sites Portland fared very poorly on the immigrant moth front, with 2 Rusty-dot Pearl and a Silver Y the only representatives in the Obs traps. It hardly needs mentioning that it remained mild and dreary. 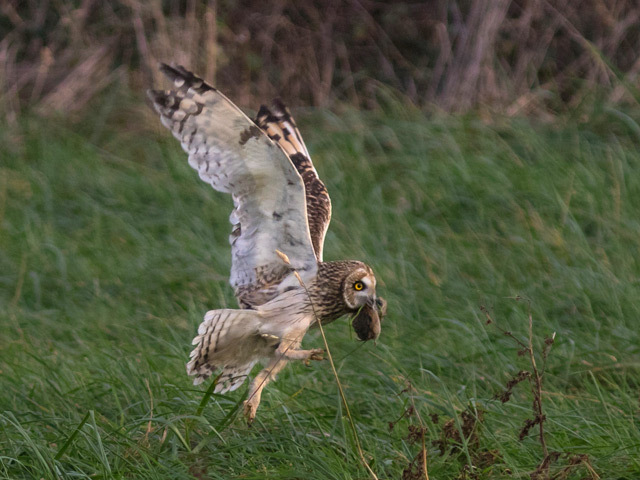 Exceptionally late Goldfinch passage continued, with another 75 south at the Bill; wintering singles of Chiffchaff and Firecrest were also still there, a Short-eared Owl was at Southwell at dusk, the long-staying Redshank was at Ferrybridge and 2 Great Northern Divers were still in Portland Harbour. 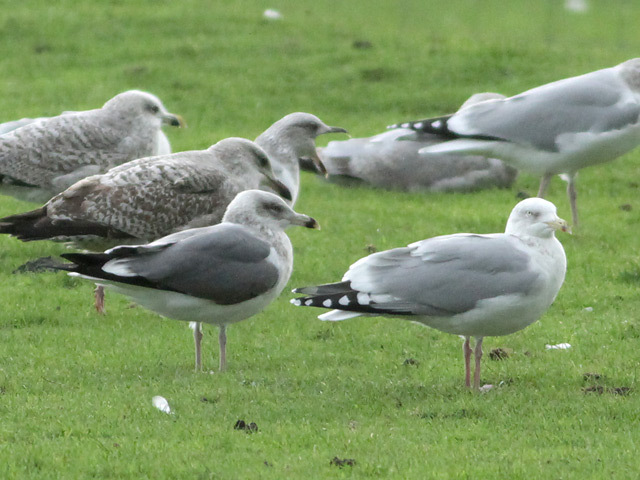 The only other reports were of seawatching, with 5 Red-throated Divers and a Black-throated Diver through off the Bill. Portland Bill: Black-throated Diver 1e, Goosander 1w (male), Firecrest 1. Blacknor: Black Redstart 1, Goldfinch 110. Portland Bill: Goldfinch 38s, Redwing 1, Chiffchaff 1, Red-throated Diver 8w, Common Scoter 6w, Brent Goose 2e. Reap Lane: Black Redstart 1. Blacknor: Black Redstart 2, Goldfinch 75. Chesil Cove: Black Redstart 2. Portland Castle: Black Redstart 1. 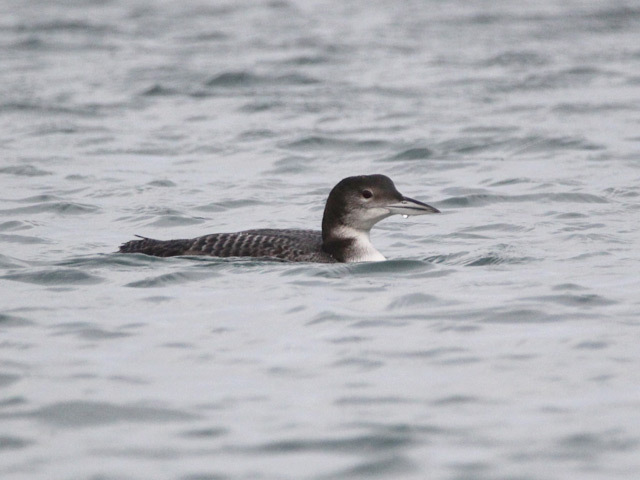 Portland Harbour: Great Northern Diver 1. Portland Bill: Goldfinch 95s, Red-throated Diver 13w, Common Scoter 8w, Black-throated Diver 2w, Velvet Scoter 1w, Wigeon 1e, Great Skua 1w, Short-eared Owl 1, Firecrest 1. Portland Bill: Goldfinch 98s, Purple Sandpiper 3, Red-throated Diver 2w. Southwell: Chiffchaff 5, Goldcrest 2. Portland Harbour: Great Northern Diver 2, Grey Phalarope 1. 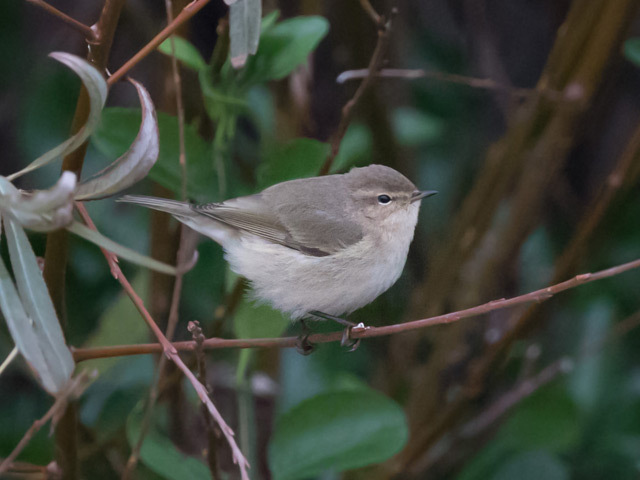 Portland Castle: Siberian Chiffchaff 1. 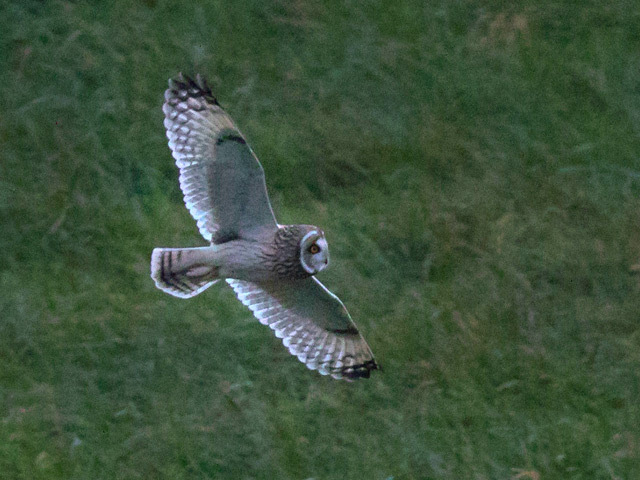 Portland Bill: Goldfinch 31s, Purple Sandpiper 2, Siskin 2, Short-eared Owl 1. Portland Harbour: Great Northern Diver 2, Black-throated Diver 1, Black Redstart 1. 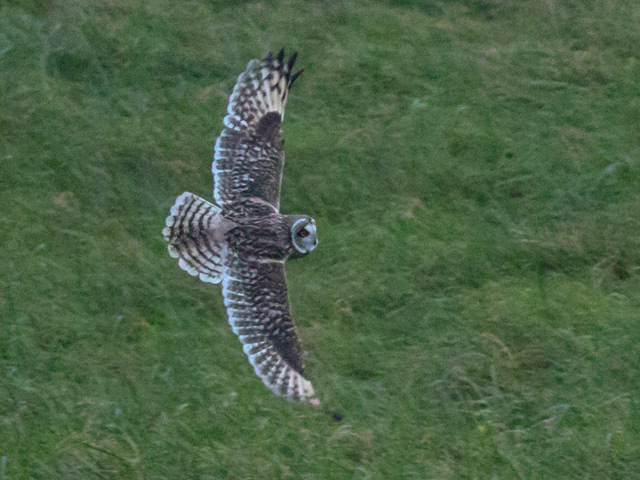 Portland Bill: Goldfinch 37s, Gannet 300etc, Red-throated Diver 9w, Short-eared Owl 1. Portland Harbour: Black-throated Diver 1, Great Northern Diver 1, Black Redstart 1. Portland Bill: Goldfinch 273s, Red-throated Diver 2. 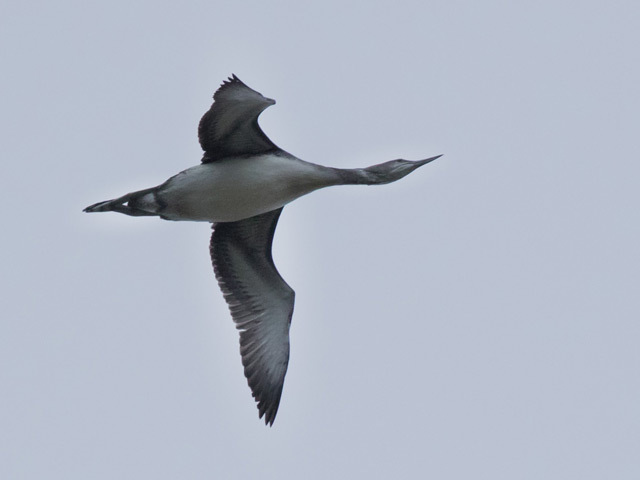 Portland Harbour: Black-throated Diver 1, Great Northern Diver 1. 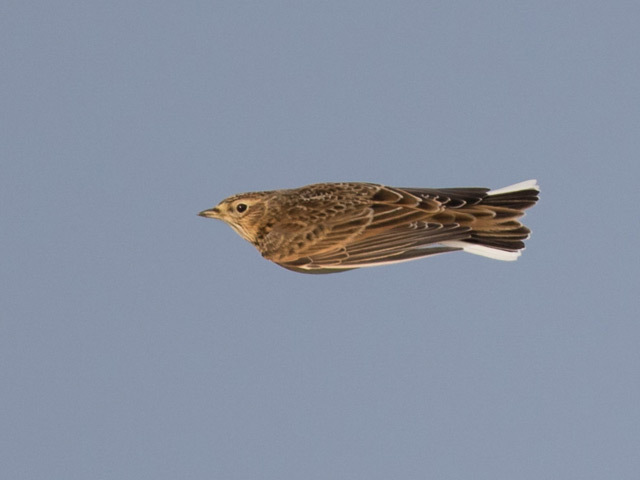 Ferrybridge: Merlin 1, Curlew 10. Portland Bill: Goldfinch 193s, Redwing 30n, Chiffchaff 1, Red-throated Diver 7w, Common Scoter 6w, Black-throated Diver 1w, Shelduck 1 w.
Southwell: Redwing 94, Goldcrest 2. 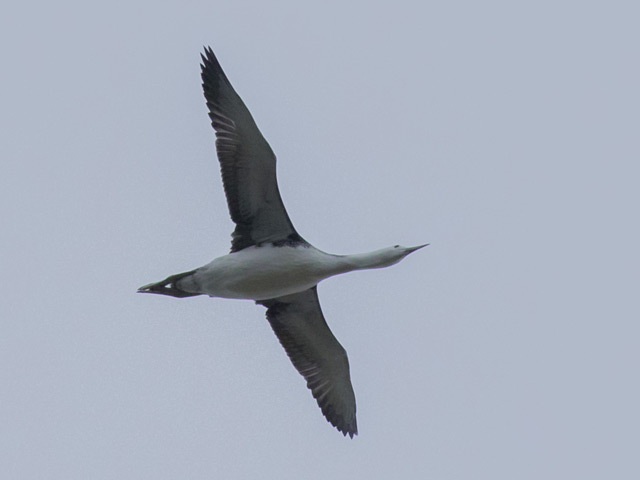 Portland Harbour: Great Northern Diver 2, Black-throated Diver 1, Sandwich Tern 1, Swallow 1. Portland Bill: Goldfinch 160s, Purple Sandpiper 2, Common Scoter 2w, Black-throated Diver 1w. Blacknor: Black Redstart 1, Grey Wagtail 1. 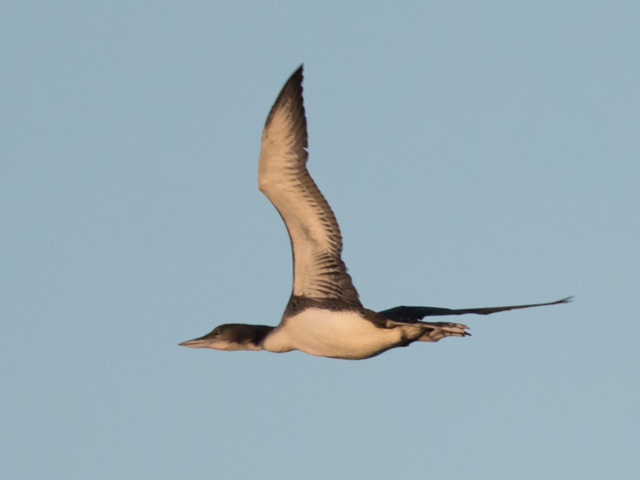 Portland Harbour: Great Northern Diver 2, Black-throated Diver 1. Portland Bill: Goldfinch 42s, Common Scoter 4w, Purple Sandpiper 6, Short-eared Owl 2, Great Skua 1, Chiffchaff 1. 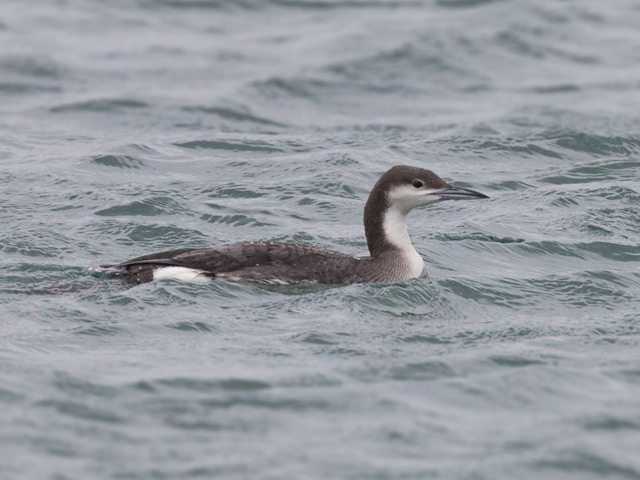 Portland Harbour: Great Northern Diver 2, Red-throated Diver 1, Black-throated Diver 1. Ferrybridge: Pale-bellied Brent Goose 12. 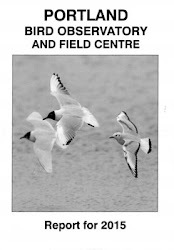 On a wet and windy day the only reports were of 2 Red-throated Divers and 2 Great Skuas through off the Bill and a Sandwich Tern at Ferrybridge. Please note that updates to the blog and our Twitter are going to be patchy, late or most likely non-existent for the next few days; normal service should resume on 16th December. A day of sunshine was welcome, even if the wind remained a feature throughout. Goldfinches were still on the move, with 220 south at the Bill during the morning, but with the exception of 14 Linnets also through overhead and the usual Black Redstart and Firecrest at the Bill and Black Redstart and Siberian Chiffchaff at Portland Castle there wasn't much more action on the land. A Little Auk reported from Portland Marina during the morning couldn't be found in a later search, seawatching at the Bill turned up singles of Red-throated Diver and Great Northern Diver off the Bill, whilst 2 more Great Northern Divers, 6 Wigeon and a new Sandwich Tern passed over at Ferrybridge. Dribs and drabs of late passage still, with today's offering from the Bill being 25 Goldfinches and a Merlin south overhead and 4 Redwings, a Fieldfare and a few new Chaffinches on the ground; moving Great Black-backed Gulls were also a feature, with 428 west past the Bill in an hour early in the morning - perhaps these were more likely birds displaced by the recent stormy conditions than longer-distance migrants? 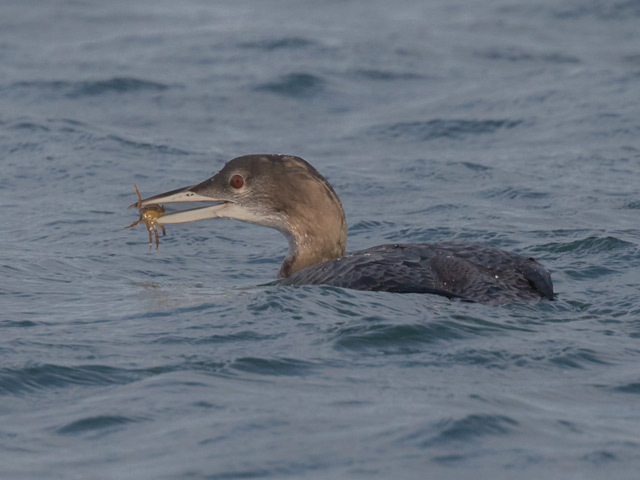 Although still very busy with feeding activity, the sea there didn't otherwise come up with much more than 2 passing Red-throated Divers. 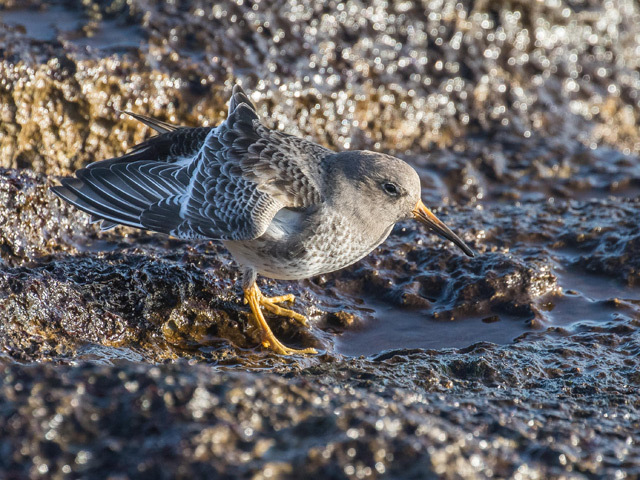 Five Purple Sandpipers, 3 Chiffchaffs, a Short-eared Owl and a Firecrest also remained at the Bill, with 2 Black Redstarts again at Blacknor, the Siberian Chiffchaff and a Black Redstart still at Portland Castle and 2 Pale-bellied Brent Geese and a Redshank at Ferrybridge. Still uniformly dreary and breezy but seemingly not inclement enough to stop another trickle of departing finches from passing through at the Bill, where 211 Goldfinches and 19 Linnets left to the south during the morning; 3 Redwings were the only obvious grounded arrivals there, with another 43 also dropping in briefly at Portland Castle. 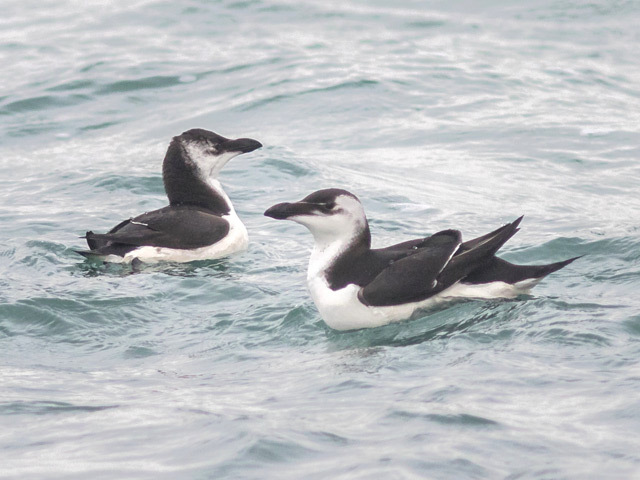 The sea was constantly busy with feeding Gannets, gulls and auks off the Bill, where 2 Great Skuas and a Black-throated Diver also passing through. 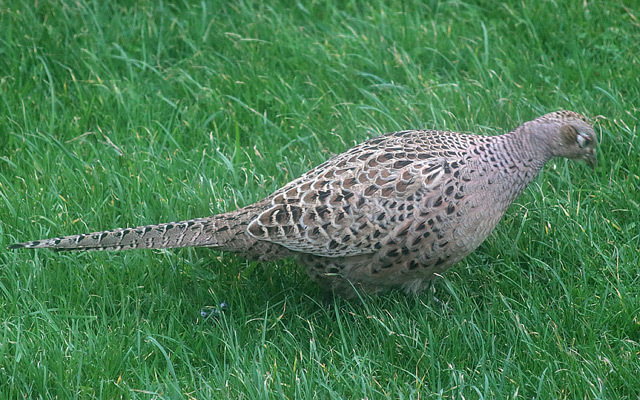 The day's other reports were of the Siberian Chiffchaff and Black Redstart still at Portland Castle, singles of Great Northern Diver and Common Scoter in the Harbour and 5 Purple Sandpipers and the long-staying Red-legged Partridge still at the Bill. Today's positively quiet conditions were the cue for another late pulse of passage, with 560 southbound Goldfinches hastening through over the Bill; 7 Linnets were tagging along but there didn't look to be any sign of new arrivals on the ground, where the likes of the Firecrest at the Obs, Black Redstarts at the Bill, Blacknor and Chesil Cove, the Siberian Chiffchaff at Portland Castle and 15 Pale-bellied Brent Geese were all still about. 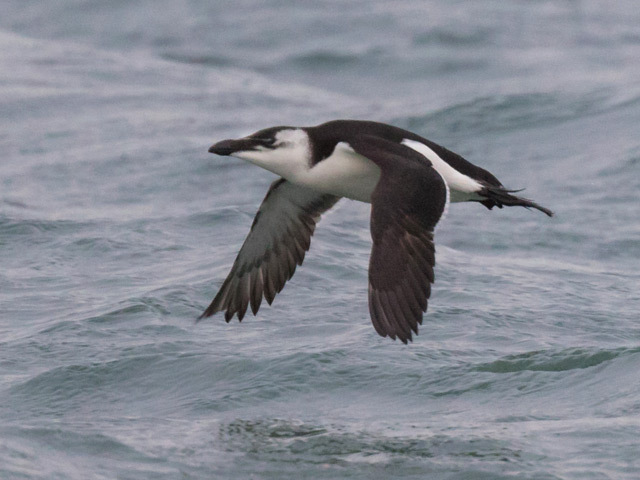 Reports from the water included a Great Northern Diver and the Common Scoter in Portland Harbour and singles of Great Northern Diver and Brent Goose through off the Bill. The news that Portland evidently recorded the day's highest wind speed in south-west England would have come as no surprise to anyone who'd attempted an excursion into the field today; perhaps more of a surprise was the almost total absence of storm-driven seabirds, with 4 Kittiwakes and 2 new Great Northern Divers in Portland Harbour the only untoward sightings. Another 44 Goldfinches battling south over the Bill provided the day's only evidence of passage, whilst regulars included 2 Black Redstarts at Chesil Cove, a Common Scoter in Portland Harbour and 10 Pale-bellied Brent Geese at Ferrybridge. 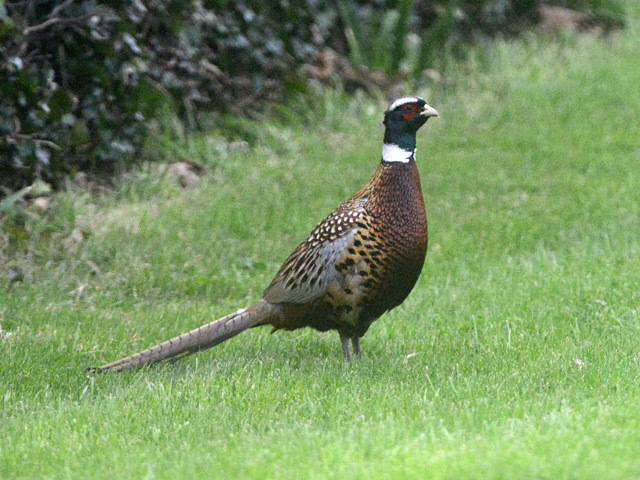 With further recent reports of singles in the Governor's Community Garden near the Borstal and of up to three birds on the undercliff below the Grove it seems as though Pheasant is going to be featuring in the log for quite some time to come. 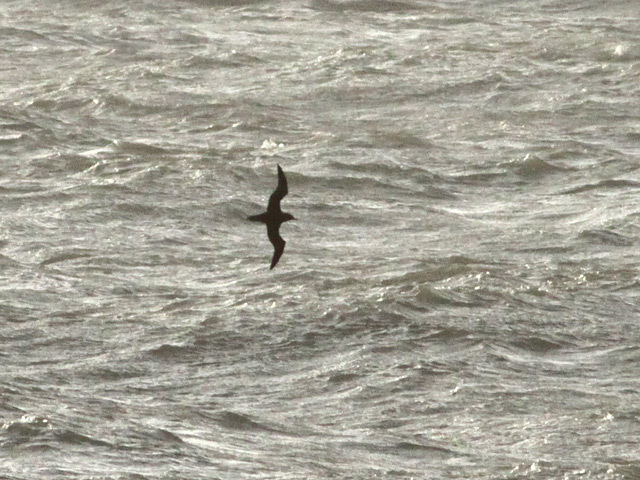 With a pretty fierce gale blowing all day there were high hope for the sea but the rewards were about as scant as they could be: a lone Great Skua lingered for a while off the Bill and a storm-driven Guillemot showed at Ferrybridge. 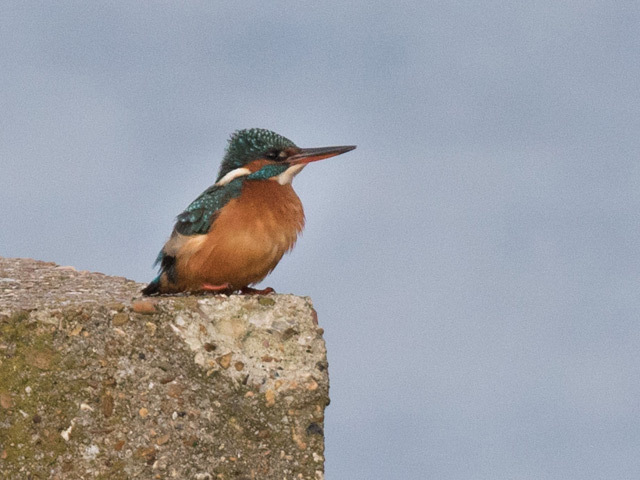 The only other reports were of the lingering singles of Firecrest at the Obs and Black Redstart at Chesil Cove. Not a very inspiring day, with a blasting westerly and occasional very heavy showers limiting meaningful fieldwork. It was clear enough for a couple of hours after dawn for Goldfinches to get moving again, with 250 south at the Bill, but the only other reports from there were of a few of the regulars: 4 Purple Sandpipers, a Short-eared Owl and a Firecrest on the land and a Red-throated Diver through on the sea. Elsewhere, 8 Ravens flew south over Ferrybridge and 10 Black-necked Grebes and a Common Scoter were in Portland Harbour. Three more Rusty-dot Pearl made it into the Obs moth-traps overnight in conditions that didn't look at all likely for anything to be on the wing. Not such easy birding on a windy and frequently wet day and not much evidence of things having changed, with the Siberian Chiffchaff and several Chiffchaffs still at Portland Castle, 8 Pale-bellied Brent Geese and the Sandwich Tern at Ferrybridge and Black Redstarts at the Bill (2), Reap Lane and Blacknor. A Red-throated Diver was new in Portland Harbour, with 3 also flying over Ferrybridge and another through off the Bill, but passerine arrivals was limited to 35 Goldfinches, 7 Redwings and a Fieldfare through at the Bill and 2 Song Thrushes through over Ferrybridge.